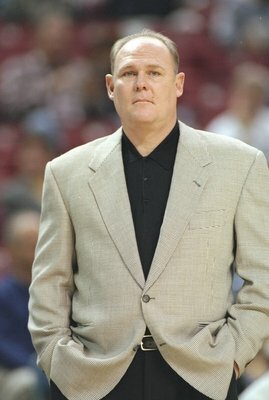 In this page I will try to rank the top-10 coaches of the 90s and pay tribute to their work that is usually left out of any conversation about basketball. The rules of the blog apply here as well. It has been time-consuming, to rank the coaches as their job is not so easily measurable and the statistics cannot be the only criterion, because the motto ‘the players make the coach’ is not always an exaggeration. Who was going to be the number one in this list was the easiest choice; Phil Jackson and his Bulls dominated the 1990s and won 6 out the 10 titles of the decade. He recorded 545 wins in the nine seasons that he coached the Bulls (1990-1998), which means 74% of all the regular season games within that period. He also coached the Bulls in 152 games in the post-season and he had a 73% winning record. Phil Jackson, strangely, has won only one Coach-of-the-year award in his entire career, in 1996. Obviously because his teams usually contained some of the best players. Los Angeles Lakers (1989-90), New York Knicks (1991-1995), Miami Heat (1996-1999). 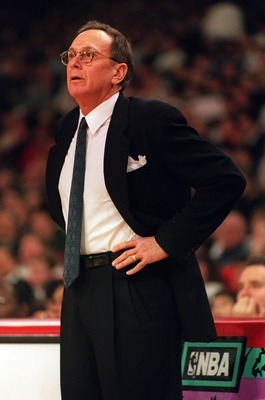 He didn’t win a title during the 90s, he won four during the 80s as a head coach of the Lakers, but he turned two mediocre teams (New York Knicks and Miami Heat) into title contenders and fell shy of winning a title for just one win in 1994 as a coach of the Knicks. He won 477 out of 706 games during the 90s (68%) and 50% of the 102 games he coached in the post-season. 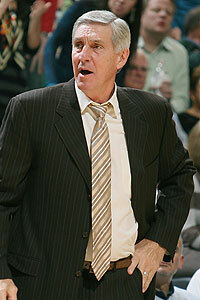 Riley was named Coach of the Year, three times in his career, all during the 90s, in 1990,1993 and 1997. Detroit Pistons (1990-1992), New Jersey Nets (1993-1994), Orlando Magic (1998-1999). He was the creator of Detroit’s “Bad Boys” and the man that coached the original Dream Team in the 1992 Olympics at Barcelona. He won with his Pistons the first title of the decade in 1990, repeating the success of 1989, and then he took the Nets and the Magic to the play-offs but wasn’t able to pass through the first round. He won 59% of the games he coached during the regular seasons, and 52% in the play-offs. 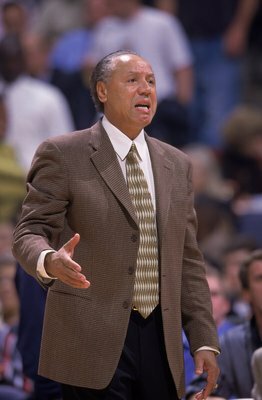 He coached the Jazz throughout the 90s, he actually retired after completing 23 consecutive seasons as the coach of the Jazz (1989-2011). Jazz reached the NBA Finals two times during the 90s, under his guidance. He was not able, however, to win a championship but he won 69% of the regular season games, 542 out of 788, and 54% of the 125 games his Jazz played in the post-season. He won back-to-back NBA titles (1994-1995), 62% of the 572 games he coached in regular season, and 57% of the 90 games in the post-season. But, I just could not rank him higher, because I believe that he was very lucky of having Hakeem Olajuwon playing the best basketball of his life. I may underestimate him but it is mostly the fact that Hakeem was so good that made everyone around him better. Cleveland Cavaliers (1990-1993), Atlanta Hawks (1994-1999). Lenny Wilkens coached two teams that each was a star-player shy of becoming real contenders and this is shown in his 40% play-offs winning record. He was able, however, to win 59% of the 788 regular season games he coached during the 1990s. He was Coach of the Year in 1994 and coached “Dream Team III” that won the gold medal in 1996 Olympics at Atlanta. San Antonio Spurs (1990-1992), Los Angeles Clippers (1992-1993), Indiana Pacers (1994-1997), Philadelphia 76ers (1998-1999). 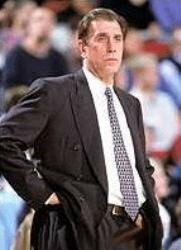 A strict, defensive-minded coach that was able to make a mediocre Pacers team a contender, and take the ugly Los Angeles Clippers team of the 90s in the play-offs two times in row (1992-1993). He won 57% of 779 games he coached during the 90s and 51% of the 70 play-offs games. He finally won an NBA Title as the head coach of the Pistons in 2004. Seattle Supersonics (1991-1998), Milwaukee Bucks (1998-99). 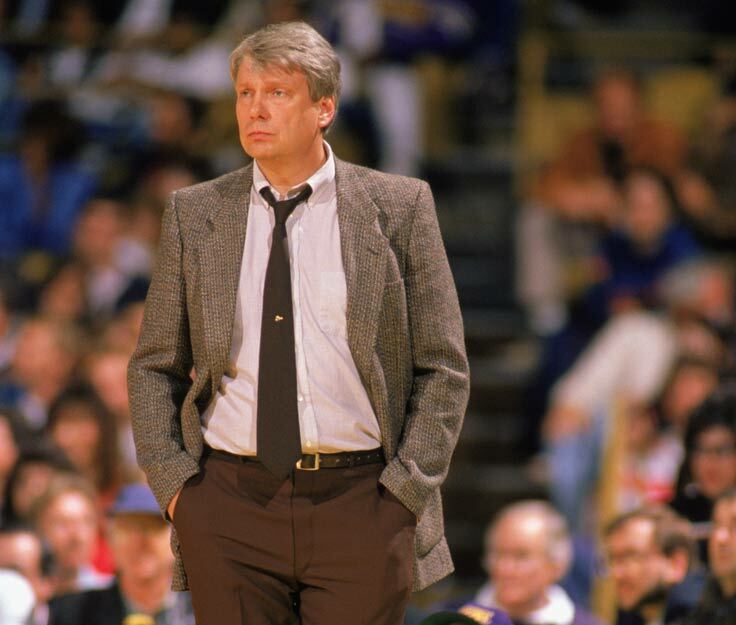 An underrated coach that his work was not recognized even when his Sonics reached the NBA Finals in 1996, to lose against the Bulls. This might be a result of his poor 48% winning record in the play-offs, while coaching a super talented Sonics team. Their defeat against the 8th seeded Nuggets in 1994 stigmatized his career, at least during the 90s. His regular season winning percentage, however, was 71% second only to that of Phil Jackson. Golden State Warriors (1990-1995), New York Knicks (1995-96), Dallas Mavericks (1998-1999). 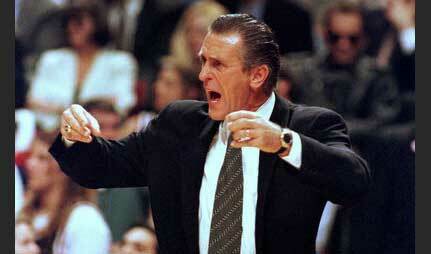 He could have been a top-five coach of the 90s but he coached mediocre to bad teams, throughout the 90s. He managed, however, to be named Coach of the Year in 1992 and made some damage in the 1991 play-offs with his “Run-TMC” Warriors. 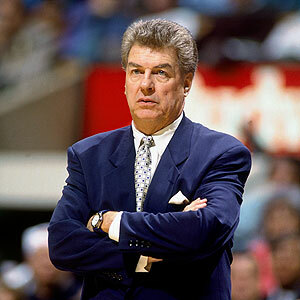 He took over a big responsibility in 1998, to rebuild the Mavericks’ team, which he accomplished with great success. His regular season winning percentage was 48 and he won 31% of the games he coached in the post-season. Portland Trail Blazers (1990-1994), Golden State Warriors (1996-1997), Sacramento Kings (1998-99). 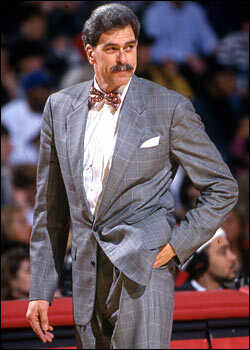 Another underrated coach that is still coaching in today’s NBA with a lot of success. 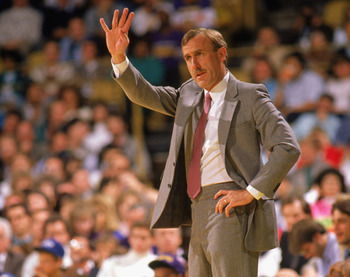 Adelman reached the NBA Finals two times during the 90s, in 1990 and in 1992, with a super-talented Blazers’ team to lose to Pistons and Bulls, respectively. He won 59% of his regular-season games and 53% of the 71 games he coached in the post-season. Honourable Mention: Dell Harris, Mike Dunleavy, Paul Westphal, Mike Frattelo, Don Chaney.